1st Class Mail, Priority or Express Mail. Make this Mother's Day memorable with charm jewelry from our Mother's Day Collection of Charm Bracelets & Necklaces. 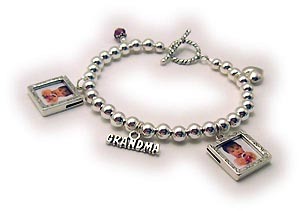 I can personalize any of these bracelets and necklaces with pictures, charms and birthstones. I make every thing myself and ship it the next business day. Mother's Day is on May 13th this year. Here are my most popular unique Mother's Day 2018 Unique Gift Ideas. 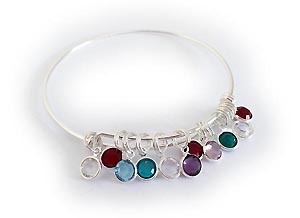 This design can be found on my Mother Bracelet website... Designs By Leigha. A great gift for mom or grandma for Mother's Day! 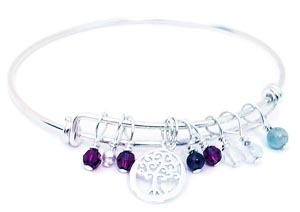 It comes with the Tree of Life charm and you choose the number of real semiprecious birthstone gemstones. 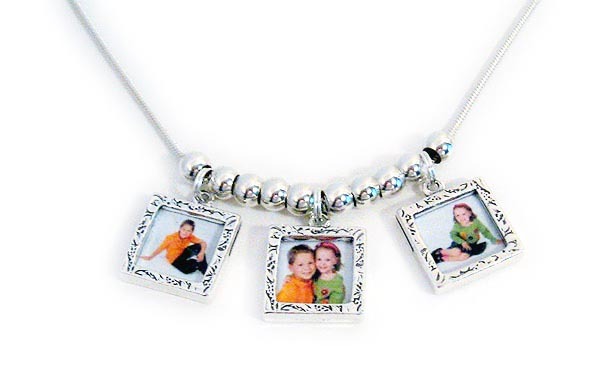 Design your own photo or picture frame charm necklace. These picture frames hold 2 pictures (front and back). 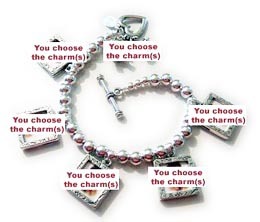 I can insert the pictures for you or you can insert them yourself, when you recived the Picture Frame Charm necklace. It is very easy to insert and or replace the pictures. 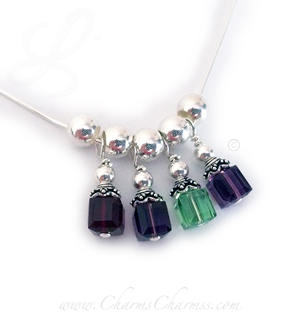 This necklace comes with the little girl and little boy charms with birthstones of your kids or grandkids. 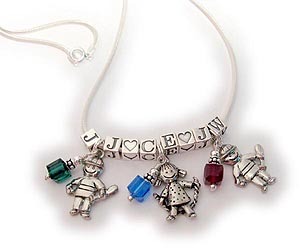 You also pick their first and middle initials or thier first and last name initials. 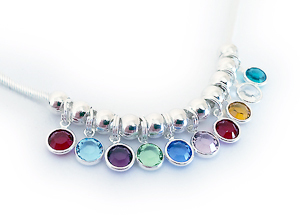 This birthstone charm necklace is shown with 4 birthstones but you can have from 1-50 birthstone charms for mom, grandma or great grandma!